BlackBerry Z10 gets the once over on Austrian video; is this the first BlackBerry 10 TV ad? Whether you speak German or not, all you need to know to enjoy the 7 minute 29 second video below (the first video), is the universal language of "smartphone". An Austrian publication got their hands on a BlackBerry Z10 and produced a hands-on video showing off the first all-touch BlackBerry 10 model. This will more than likely be the first BlackBerry 10 model launched and it would appear that Canadians will get first crack at the phone as soon as next month. A leaked T-Mobile road map shows the BlackBerry Lisbon, presumably the Z10, being released on March 27th. For those who can't speak German, the video mentions a laundry list of specs such as the 4.2 inch HD screen and the dual-core 1.5GHz processor under the hood. 2GB of RAM (!) is on board with 16GB of native storage aboard. The device weighs in at 4.4 ounces (125 grams). 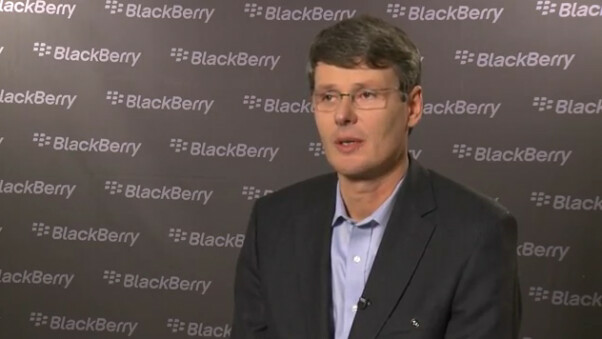 The video showed a responsive machine which it must be as this is RIM's last chance to keep the BlackBerry name relevant. We shudder to think what would happen if this turns out to be another BlackBerry Storm type launch. So far, though, the Z10 looks like a sleek, head-turning device and we have to say that the current management team led by CEO Thorsten Heins has the company running on all cylinders. The other video below was captured directly off the television screen, but the quality is not that bad. As any investor worth his salt knows, this is cable channel CNBC and what we are seeing is an ad for BlackBerry 10 which apparently is one of CNBC's sponsors for coverage of the World Economic Forum in Davos, Switzerland. By the way, if you look at the stock prices on the bottom of the television screen, you'll see Apple on its way to closing under $500. So we have a detailed look at the BlackBerry Z10 (albeit in German), pre-orders, and now an ad. All that is left is the launch of the actual phone. Great stuff, very smooth and nice transition effects. BB10 is much more innovative than WP8 and deserves 3rd place. Are you telling me that 20 years old icons (apple creations) is better than brand new live tile? live tiles are wrong implementation of widgets Wendy. the information in live tiles is scattered and difficult to managed, not customizable and incomplete. and they are distracting too. if you use WP phone as a toy live tiles are fun Wendy. I've used Live Tiles on my Windows 8 PC for their intended purpose exactly 0 times. They're that frustrating medium between a widget and an icon: they don't show enough information to be an effective widget, and they take up a clumsy amount of space as an icon. How so? My laptop has a touchscreen, so I'm able to use it as a tablet if I want to. It still doesn't change that the information displayed by the Tiles isn't usually helpful at all. I like the slide up the screen to wake it up but wonder if it will have problems with being unlocked in pocket? Not convinced.. If I have to use another platform apart from Android, it'll be UBUNTU. Hope the Chamber of Commerce in austria won't be mad! In all seriousness, thanks! Alan F.